It doesn’t matter the time of year. It seems everyone is always cleaning, decluttering and organizing their homes, and looking for new and better ways to do so. I admit, I’m guilty. Right now, I’m doing a major cleanout and it’s refreshing to see open space where once there was something that collected dust. I discovered this book in 2007, and it sits within easy reach of my desk. 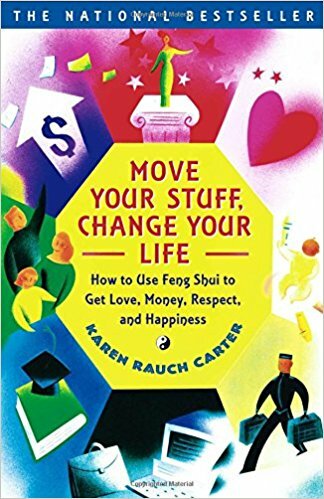 Carter approaches cleaning and organizing from a feng shui perspective, but she’s so much more than that. She takes a very holistic approach to life and is continually educating herself on how our homes can best and most healthily support us. 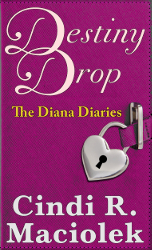 She even wrote a sequel called, Make a Shift, Change Your Life. Since we’re talking about cleaning and organizing here, I love her approach to working through the process. She suggests defining your perfect life in great detail, then checking to see that you have items in the house that support it. If it doesn’t, out it goes! She’s even conducted annual decluttering workshops to kick start the year. Whenever I need something positive to keep me going as I declutter, I check out her YouTube channel or Facebook posts, and I’m motivated once again. 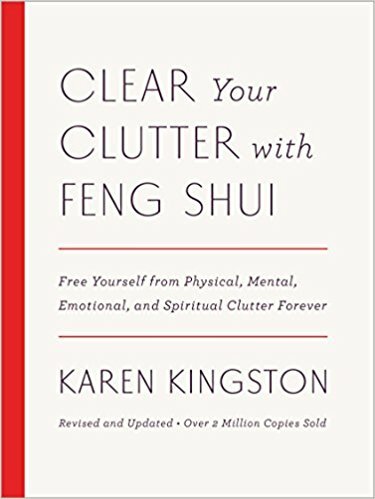 I know, this is another feng shui book, but Kingston does an amazing job of getting down to the psychological and emotional reasons you keep things, and how to move past them. I was fascinated when I read this and still feel this is one of the best books of its kind. 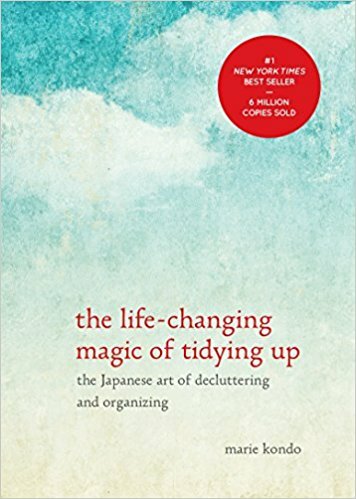 Decluttering somehow makes sense with this book. I read the original, but there’s now an updated version, which I will also purchase. Kingston’s ideas are simple and effective, and you will refer back to it time and again. Like a good novel, once you get to the end you want to start reading from the beginning. 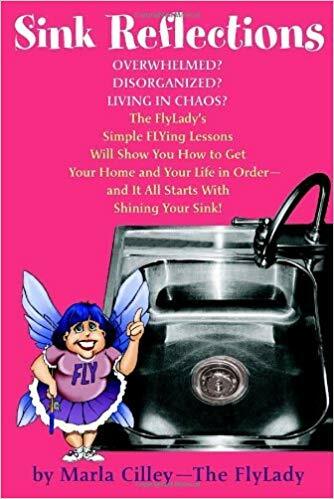 Although there are many good people out there who can help us to declutter, The Fly Lady teaches you how to clean! Not just deep cleaning, but how to maintain a clean and healthy home without spending your Saturdays washing floors and scrubbing toilets. It all comes down to routines. For as long as I can remember, most people I know have spent their Saturday mornings cleaning for hours. What a lousy way to start the weekend! The Fly Lady agrees and aims to help you keep your weekends free for the important people in your life. Setting up a control journal is crucial to becoming successful here, but it’s super easy. I’ll try to do a blog post in the future about this. There are references to people whose homes are in complete disarray, but even if you’re already a neat person, you’ll still pick up a few pointers. I also highly suggest signing up for her newsletter. You’ll be flooded with messages, but there is good information and it keeps you on track. As I’ve stated in previous blog posts, I had already begun doing many things in this book before it was written. I used to move a lot when I was young – a lot! – and everything just got thrown in boxes and oftentimes never got unpacked at the next location. Finally, when I had some time, I started to gather like items together, so I could determine how many of a particular item I had. It was mind blowing! Plus, items that would go into one room in one house might be used completely differently in the new one, so it was important to gather, then decorate. There you have it! 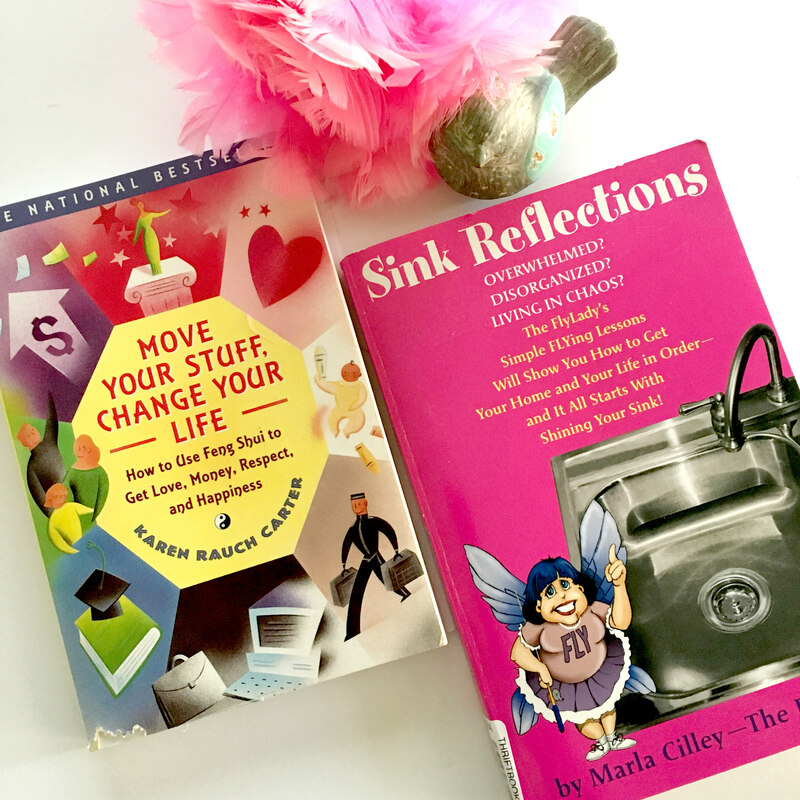 My four favorite cleaning and decluttering books. I’d love to hear about yours! Add your comments below. Be sure to join my mailing list and follow me on Instagram and Twitter! This entry was posted in Chic from home, KonMari Method, Organizing and Tidying and tagged blogger, change your life, chic from home, chicfromhome, cleaning, cleanout, Clear Your Clutter with Feng Shui, declutter home, decluttering, feng shui, FlyLady, Karen Kingston, Karen Rauch Carter, Make a shift, make a shift change your life, Marie Kondo, Marla Cilley, Move your stuff change your life, organized home, Organizing, Sink Reflections, The Life-Changing Magic of Tidying Up, writer on July 9, 2018 by Cindi.